Invasive plants can vanquish a vegetable garden, overtake our ornamentals and give hives to a horticulturist. As problematic as these plants may be on the practical level, they present a more fundamental problem, even for experienced gardeners: How do we tell them apart from plants that are harmless? Many Vermont plants widely believed to be invasive are actually native to the state; conversely, many introduced and nonnative plants are benign. Even the red clover, Vermont's state flower, is a nonnative species. So the designation "invasive" encompasses two separate considerations: a plant's history in a locality and its capacity to cause damage. Ann Hazelrigg, plant pathologist with the University of Vermont Extension program, defines an "invasive plant species" as a non-native plant that is especially well adapted to establishing and propagating itself in a new habitat. She adds that such plants' success often comes at the expense of other, more beneficial plants. "Purple loosestrife is beautiful," Hazelrigg says, "but ... it's replacing the more desirable cattail, which provides a food source." By this definition, a ground-cover plant such as Creeping Jenny (Lysimachia nummularia), the nemesis of many a homeowner, is more nuisance than invasive. "For someone who wants a really pristine lawn, they get annoyed by [Creeping Jenny], because it's woven throughout the grass," says Rose Paul, director of critical lands and conservation science at the Vermont chapter of the Nature Conservancy. But Creeping Jenny, she says, has beautiful flowers that attract early-season bees, which pollinate other plants, too. "Maybe we should just change our image of what a 'great lawn' should be," Paul says. "This plant is not causing harm out in the environment." Further complicating the puzzle, some gardeners choose to combat such plants with a show of chemical force out of proportion to the plant's potential to cause damage. Herbicides can linger in soil and plants, causing harm to more than just the targeted species. Every year, Paul trains people to become certified master gardeners. She encourages her students to view as invasive only those plants "that can escape into our wilder lands in Vermont, our forests and our wetlands," as she puts it. "Those are the ones that can really cause economic harm." Such plants can choke out others that provide food to native wildlife, and they may ultimately alter the entire ecology of a biome. Paul estimates that only about 3 percent of Vermont plant species are invasives that have the potential to cause serious damage. The Vermont Agency of Agriculture, Food & Markets maintains a quarantine list of "noxious weeds" to safeguard the health of the state's environmental resources. Most of the seven invasive species listed here are on that list; all of them pose legitimate threats. If you maintain a garden or a lawn, you should know how to recognize and control these — and many other — invasive plant species. Not every species of Vermont maple produces delicious sap. The Amur maple, a shrub-like tree native to East Asia, is no friend to pancakes — or to Vermont habitats. The plant produces seeds prolifically, and it can easily regrow from a cut stump. Once it takes root, the Amur maple can displace native grasses and understory trees. The plant is particularly difficult to exterminate, as it can survive even a controlled burn. Here's one case in which spot treatment with an herbicide may be warranted — but consult the UVM Extension before trying that tactic. Asiatic bittersweet was introduced as an ornamental, but this fearsome reproducer quickly became pernicious. Besides producing a great many seeds, the plant can propagate from its runners and even from tiny pieces of its roots. The viny plant grows fast, wrapping itself around native trees, which have no defense against it. One way to control it is to carefully and frequently yank up the plants by hand. Burning bush executes its invasion in the manner of a five-star general: It mobilizes troops on the ground and in the air. 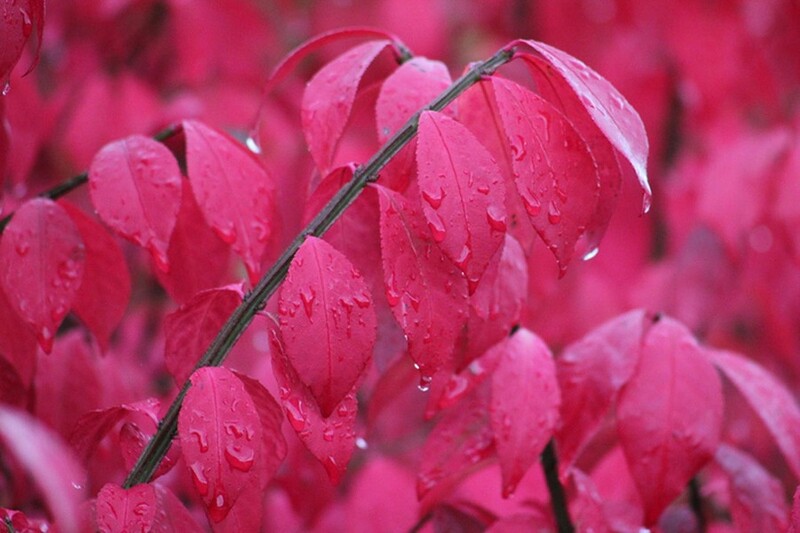 The shrub — so named for its red hue in autumn — receives avian help in distributing its seeds. 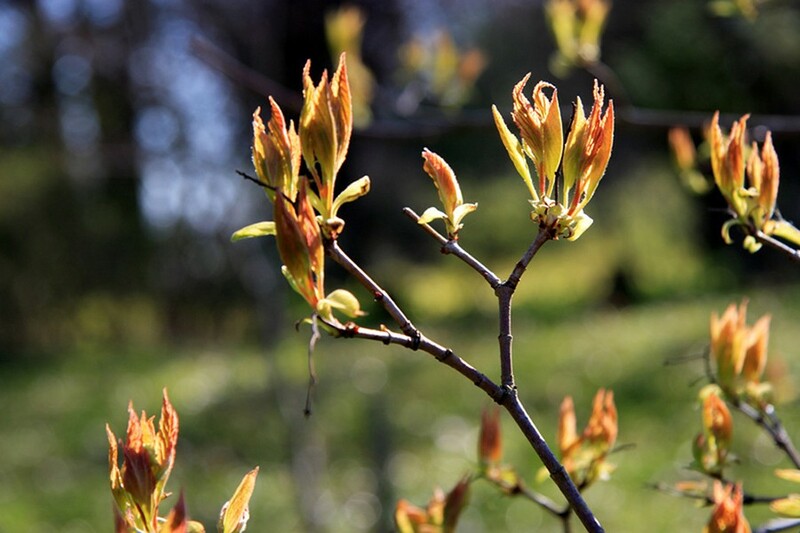 Burning bush can reproduce via sexual or asexual means, so a single plant can quickly turn into many, often at the expense of native shrubs and trees. To control its spread, pull it up manually, taking care to get the whole root system. Cut down larger plants and wrap the stumps in burlap or plastic to prevent regrowth. Trees can be invasive, too. The common buckthorn, which can grow to about 25 feet high, is a European plant introduced to North America for ornamental purposes. 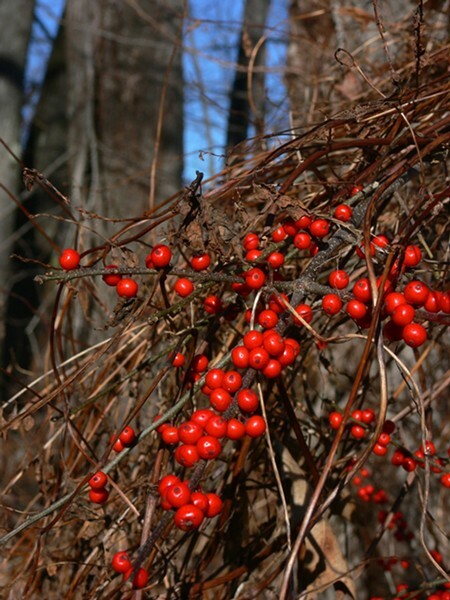 Birds and mammals like to snack on its berries, thus assisting in the plant's propagation via the excretion of seeds. 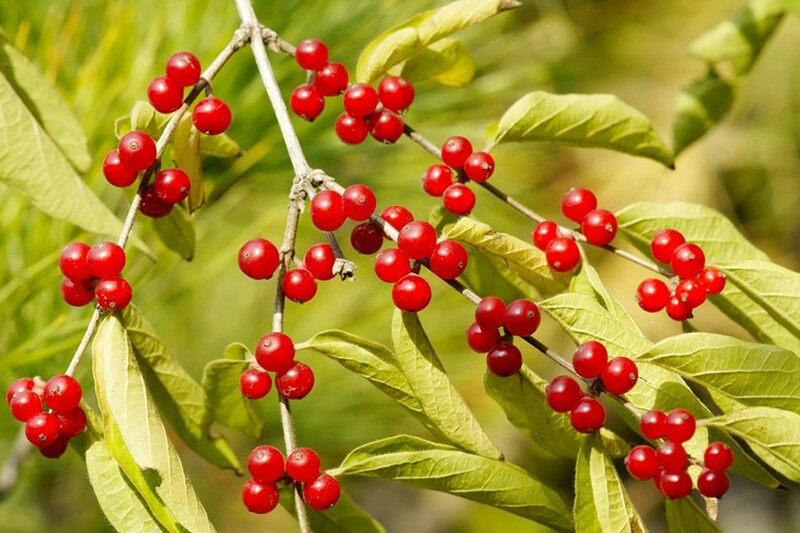 But the animals themselves pay a price: Buckthorn berries contain a laxative that prevents critters from reaping the fruits' full nutritional potential. Clever tree. 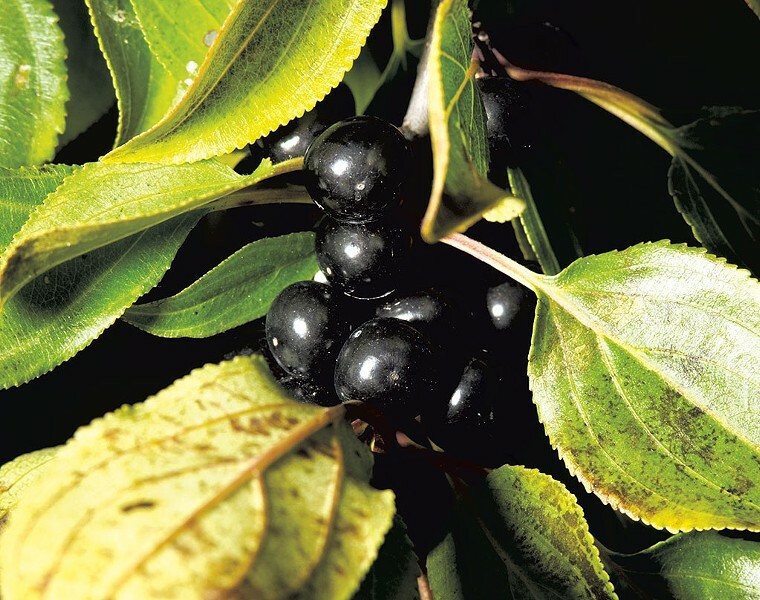 Buckthorn can also displace native species by increasing soil's nitrogen content. As in the case of burning bush, we can control buckthorn by hand-pulling it and wrapping its stumps. 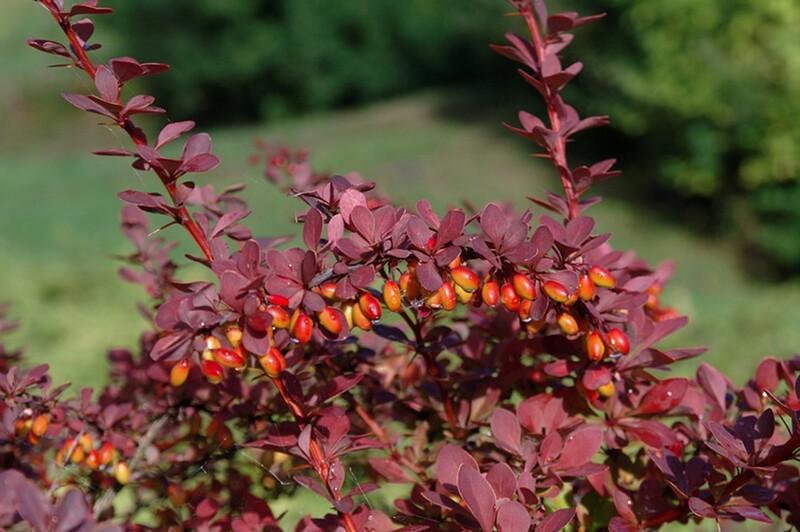 Like many invasive plants, Japanese barberry has a high germination rate. As much as 90 percent of its seeds can take root. Such adaptive strategies make this ornamental plant a formidable foe. Its rapid, voluminous growth can choke out native trees and shrubs, and its leaves are popular hangouts for ticks, the most unwelcome of arachnids. Many gardeners use chemical controls on Japanese barberry, but it can also be controlled by hand-pulling and wrapping cut stumps in burlap or plastic. Honeysuckle sounds like such a sweet, friendly plant, but several of its species pose real threats to native Vermont flora. (Complicating the matter for gardeners is the similar appearance of other honeysuckles that are Vermont natives.) Morrow's honeysuckle can grow densely in forest undergrowth, crowding out its leafy neighbors. So densely does it grow, in fact, that it can prevent sunlight from reaching low-lying plants. Control it by yanking up the whole root system and by cutting larger plants and wrapping the resulting stumps. Anyone who has ever handled wild parsnip will not soon forget the experience. The plant produces a sap that, when activated by the sun's ultraviolet light, can cause severe rashes and blisters. If you come into contact with this toxin, wash your hands and clothes with hot, soapy water immediately. The best way to eradicate the rapidly spreading, yellow-flowering plant is to sever its root just below ground level with a sharp shovel. 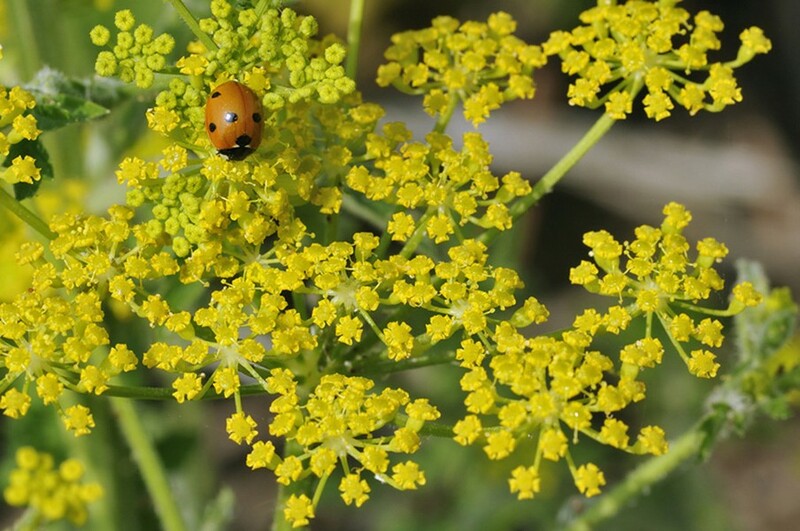 If your property is infested with wild parsnip, you can take it out with power trimmers, but you should do so only on overcast days while wearing protective clothing and a filtering mask. The original print version of this article was headlined "Floral Assault"
What to Do About Vermont's Poison Parsnip Problem?